We love to play board games in our house, and we seem to do it even more often in the Holiday Season. 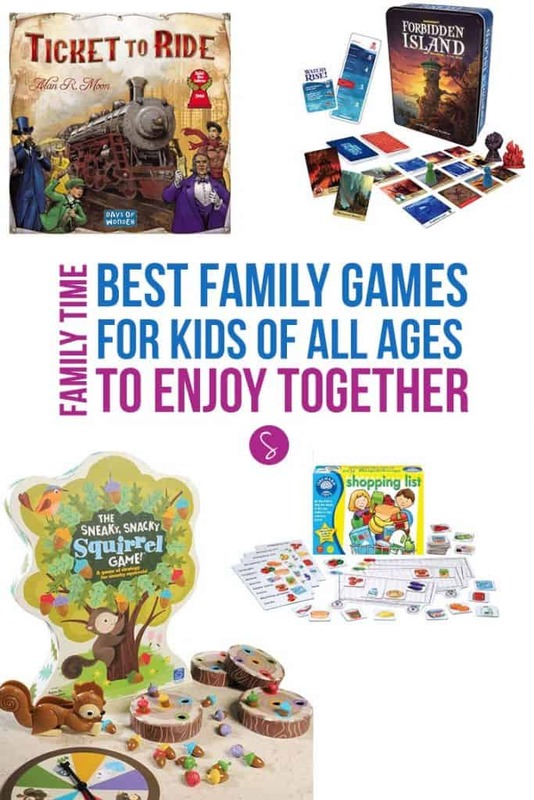 If you have some family get togethers planned keep reading for our round up of the best family game night games that are perfect for Thanksgiving and Christmas. 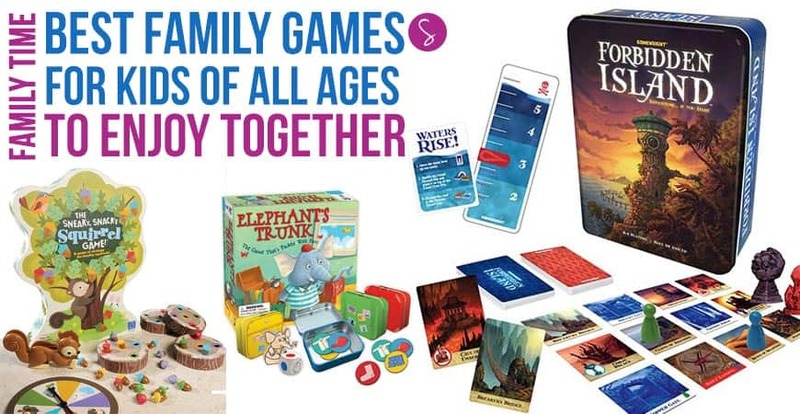 We’ve picked out games that are good for a wide age group, and most importantly easy to understand, because no one wants to waste precious family time reading rule books or trying to explain how on earth you play! 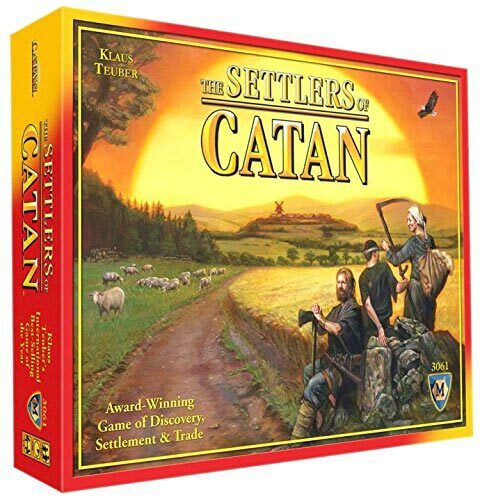 Settlers of Catan – Who can build the biggest settlement? 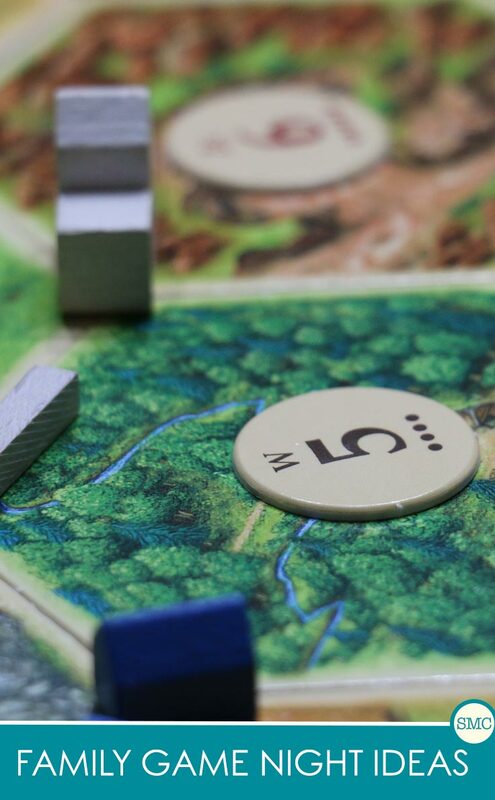 Settlers of Catan – we’ve been enjoying this strategy game for years, it definitely lives up to its award winning standards. Players have to collect resources so they can build roads, settlements and cities. It’s a strategic thinking game aimed at players aged 10 and over, but it’s recently become a firm favourite of our friends’ seven and eight year old boys. 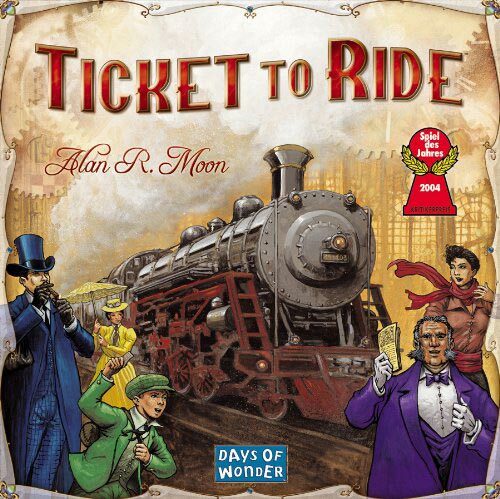 Ticket to Ride – Who can ride the rails to victory? Ticket to Ride – we are huge Ticket to Ride fans in our house. It’s such a simple game to play that new players pick up the rules really quickly. And while you can play strategically, it’s also possible to win when you don’t have a clue what you’re doing… just ask my mom! If you already know and love the original game you’ll be pleased to hear there is a whole raft of expansion packs and game versions available here. 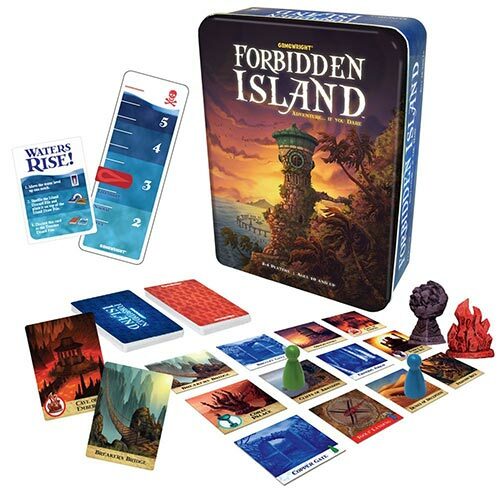 Forbidden Island – Who can be the first to escape the island? Forbidden Island – this one is a great choice for family game night, but also a good one to travel with as the box is quite small. It’s aimed at two to four players but you can play in teams if there are more of you. LEGO Creationary – Who can build the best LEGO models? 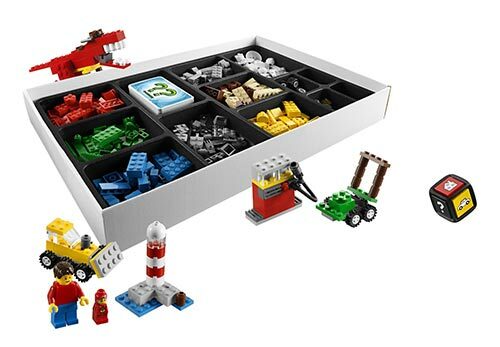 LEGO Creationary – this is a great choice for kids who are fans of LEGO, and while it says ages seven and up most preschoolers can grasp the rules pretty quickly. The aim of the game is to build what’s on your card and hope your teammates can figure out what it’s supposed to be! Sneaky, Snacky Squirrel Game – Who can feed the squirrel the most nuts? 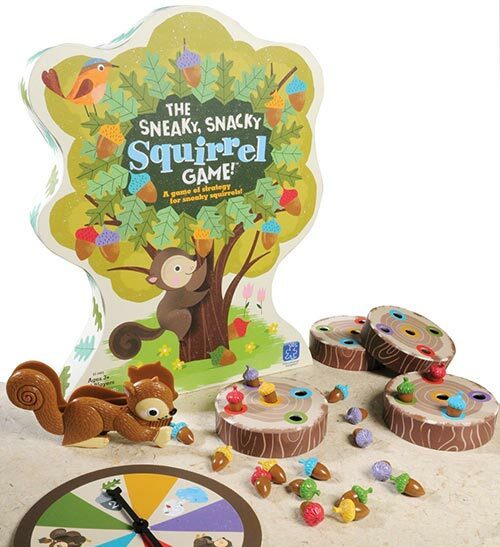 The Sneaky, Snacky Squirrel Game – while games for older kids are usually around strategy and skill the younger ones need to be able to practice fine motor skills, matching and hand eye co-ordination. And this game is just perfect for that. You have to spin the spinner, find the matching coloured acorn, pick it up with a pair of squirrel tweezers and then drop it in the correctly coloured hole. I love the way the box turns into the game board! 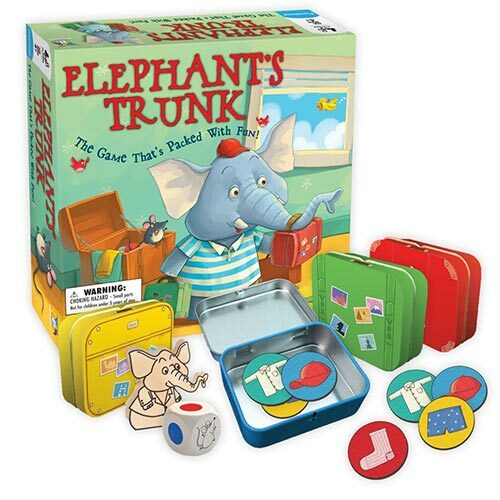 Elephant’s Truck – Who can pack their suitcase the fastest? Elephant’s Trunk – this game is absolutely adorable. Emmet the Elephant needs to pack for his trip using a teeny tiny coloured suitcase which has to be filled with clothes before the cheeky mouse tries to empty everything back out again. Shopping list – Who can fill their shopping cart the quickest? 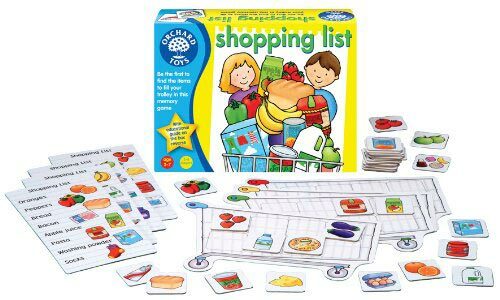 Shopping list – Orchard Toys are well known for their wonderful preschooler card games, and this one is no exception. Players need to race around the shops picking up the right groceries and testing their memories and matching skills. My almost four year old daughter LOVES this game, and often wins! Monopoly Empire – Who can make the most money? Monopoly Empire – Monopoly is a classic board game, but some people don’t like the fact that it can take hours to play. Which is why this version is so fun, a game can literally be over in less than half an hour, leaving you want to play it again right away! 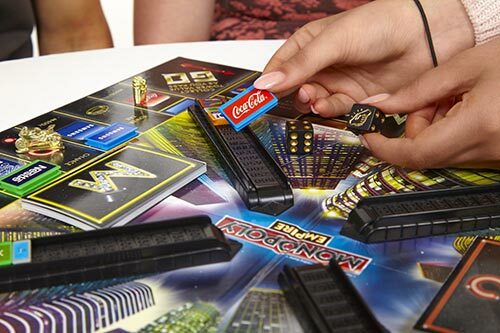 Instead of buying properties as you make your way around the board you are bidding on billboards for the world’s most popular brands, like Xbox and Coca Cola, which means even the younger players in your family will recognise them. 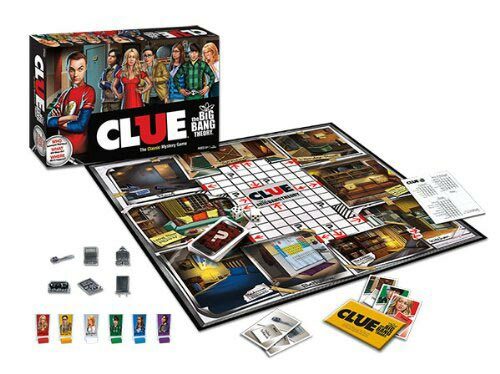 Big Bang Theory Clue – Who can figure out whodunnit? Clue: The Big Bang Theory – one for family night with teenage kids rather than the youngsters, but if you loved the classic Clue and you’re a fan of the Big Bang Theory this is like a game match made in heaven. Scrabble Flash – who came make the most words? 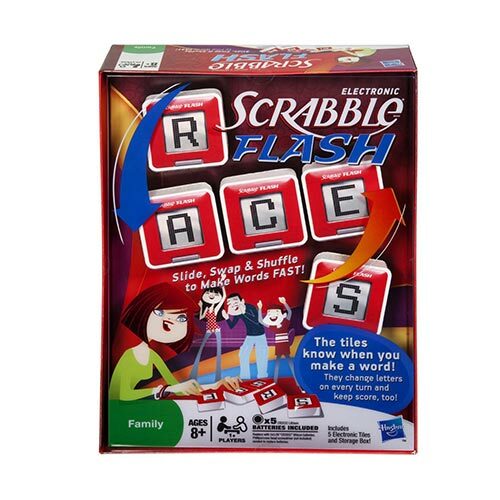 Scrabble Flash – If your kids always moan when you suggest a game of Scrabble you might want to give this version a try. Add in some electronics and suddenly the game becomes more appealing right? Perfect for family night or for solo play you have to slide, swap and shuffle your letters to make words against the clock. Previous PostPrevious 15 Easy Thanksgiving Baking Ideas that’ll Have Your Guests Asking for More! Next PostNext Easy Dessert Dip Recipes to Get the Party Started!